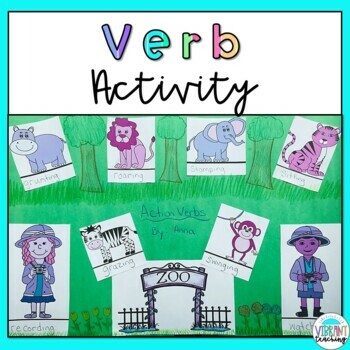 This is a fun action verb activity with a zoo and safari theme. It comes in both color and black and white. 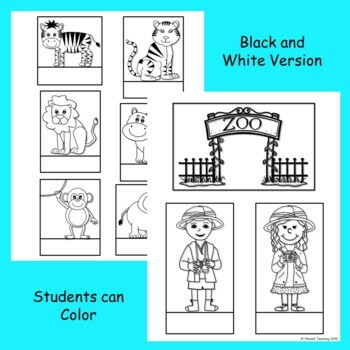 Students can complete this independently or with a partner. It works great as a literacy center too. See the directions below. 1. 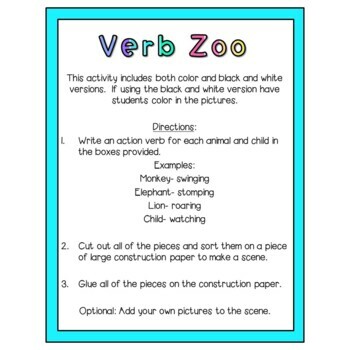 Write an action verb for each animal and child in the boxes provided. 2. 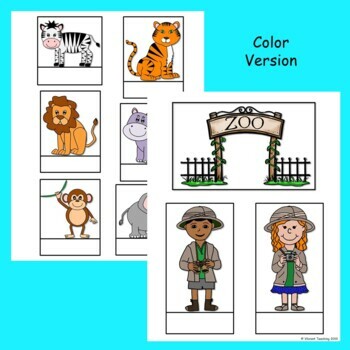 Cut out all of the pieces and sort them on a piece of large construction paper to make a scene. 3.Glue all of the pieces on the construction paper. Optional: Add your own pictures to the scene.